Museum D. João VI, Rio de Janeiro, Brazil. 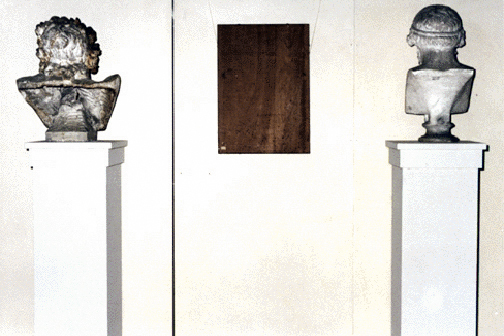 All the paintings and sculptures of the Museum Don João VI turned to the wall. In the floor there was a line of copies of works from the Louvre which Brazilian artists were require to send to justify scholarships giving by the emperor in the XIX century.